Eneko AGIRRE and Nora ARANBERRI, Ixa Group from University of the Basque Country, together with Deyi Xiong (Soochow University), Kevin Duh (Johns Hopkins University), and HoufengWang (Peking University), are the organizers of the 2nd Workshop on Semantics-Driven Machine Translation (SedMT) San Diego, California, USA; June 16, 2016 (co-located with NAACL). IXA Group is organizing in Donostia-San Sebastián a meeting of the European project QTLeap from Monday June 29th to Wednesday July 1st. Recently, at the beginging of June, this project succesfully organized in Denver, Colorado, the SSST-9 – Ninth Workshop on Syntax, Semantics and Structure in Statistical Translation collocated with NAACL 2015, June 4, 2015. 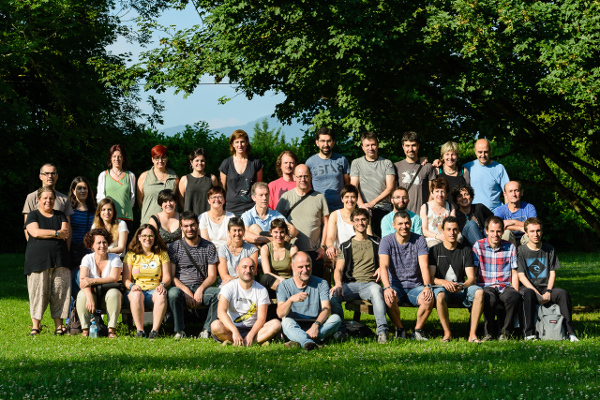 Our colleague Rodrigo Agerri has been selected as the mentor of the project Word Sense Disambiguation – Supervised Techniques presented by Apache Software Foundation to the Google Summer of Code 2015. Ixa Group is collaborating since 2011 with the UNSAAC university (Cusco, Peru). The main goal of this collaboration is to make use of the experience and know-how acquired in Basque automatic processing and apply it to the processing of Quechua, that is also an agglutinative language like Basque.